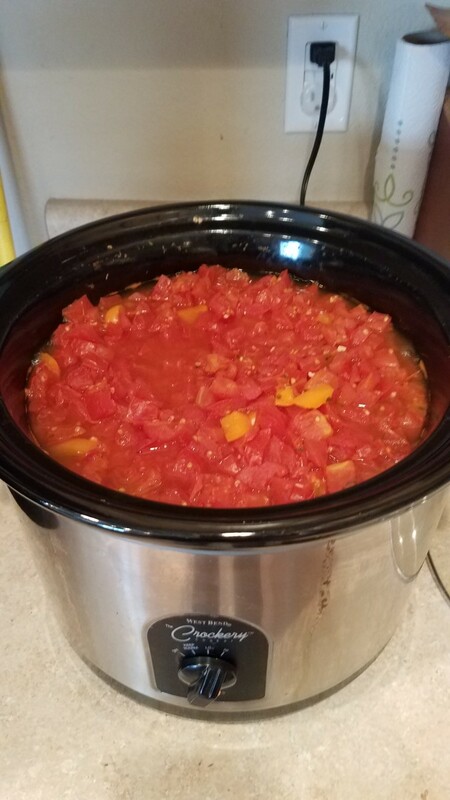 I can a lot of tomato recipes including pasta sauce, tomato soup, diced tomatoes, and salsa, all items that we use frequently in our house. 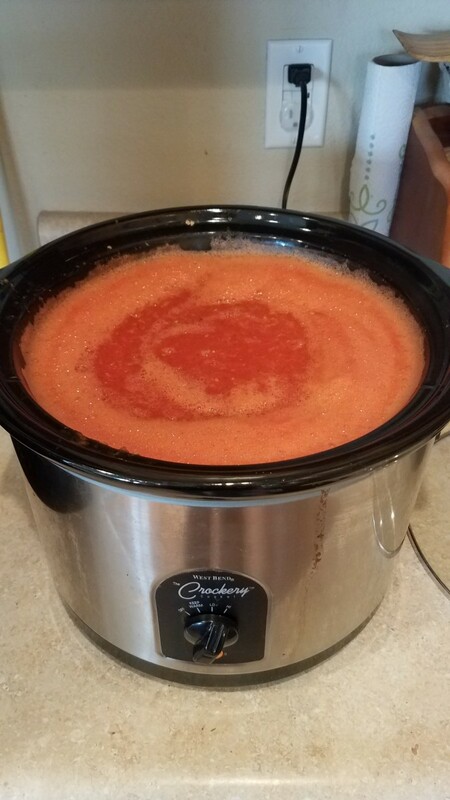 It just made sense to also can tomato paste as easy as it was to make using my crockpot, and give myself healthy, chemical-free tomato paste to use in a variety of recipes. 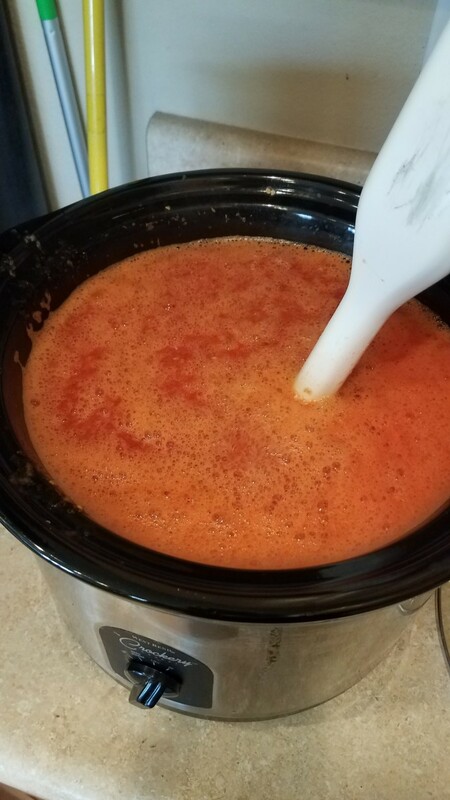 Not only do I use this tomato paste in all of my above tomato recipes, except for the diced tomatoes, I also use it in my chilis, soups, red enchilada sauce and many others. It is another staple in our house for cooking. It only makes sense that I like to keep a good store of it around for when I need it. The other day, I found a great sale on tomatoes at my local Sprouts and was also conveniently low on salsa, so I purchased about 50lbs from them. 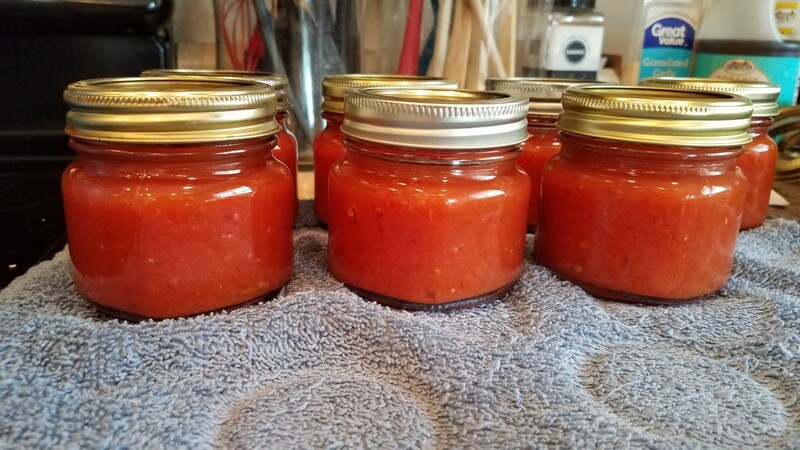 It turns out that I can get a pretty good deal of salsa out of just 25lbs of tomatoes, so I looked to see what else I could make with them. 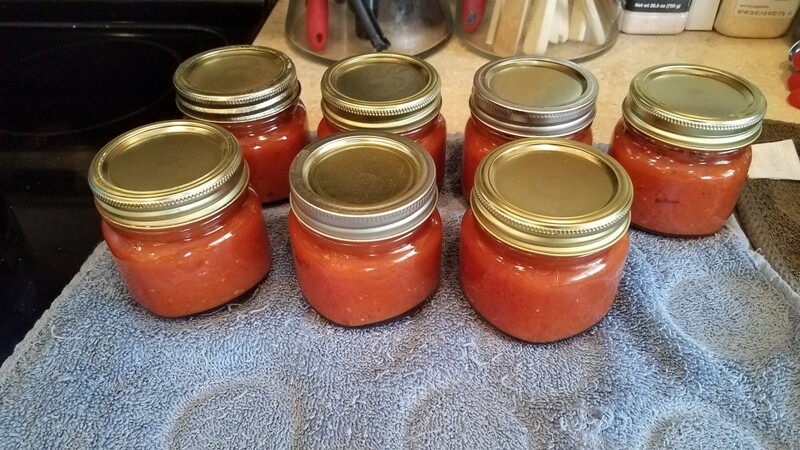 I was a little low on tomato paste as well, having used 1 jar for every salsa recipe I made, so there you go! Tomato paste it was. 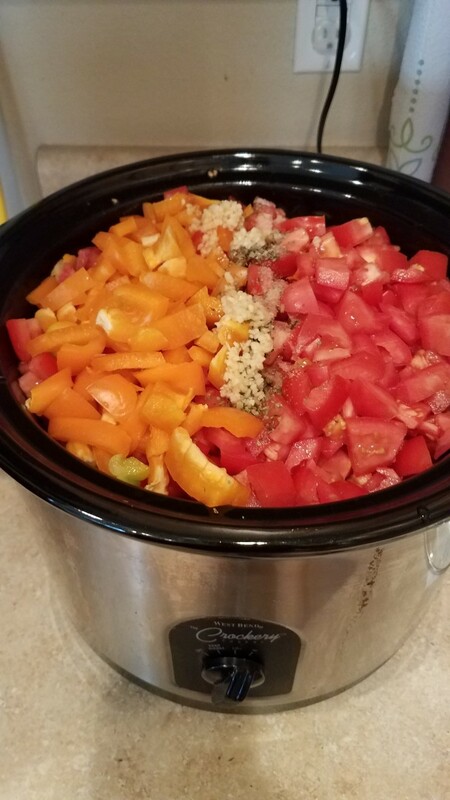 And it was easy enough to just chop double the tomatoes and put half in my canner for salsa and half in my crockpot for tomato paste. Let's just say that my kitchen has been pretty messy all week long. But boy is it going to be worth it! This is one recipe you'll make in the crockpot as it needs to cook all day long. 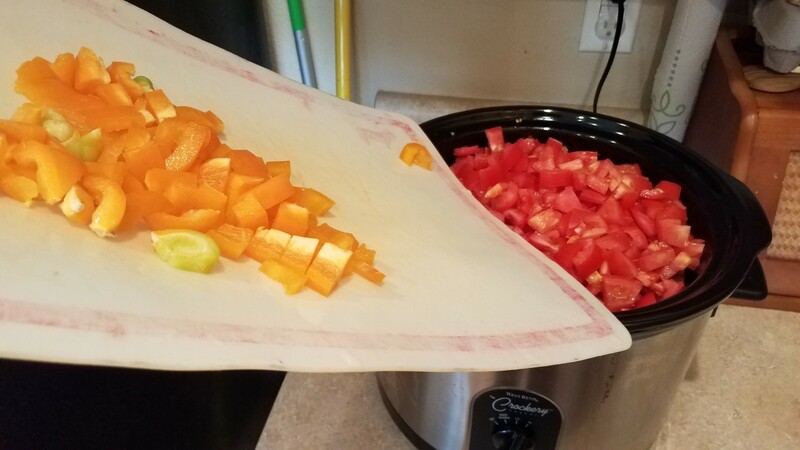 Pull your biggest crockpot out and set up a chopping station with your tomatoes, a cutting board and a sharp serated knife. Chop up about 40 Roma tomatoes into small pieces. I weighed them to try and get as close as possible to 8lbs and it looked like 5 Romas weighed about 1 pound each. Dump them all into your crockpot and turn the heat to high. 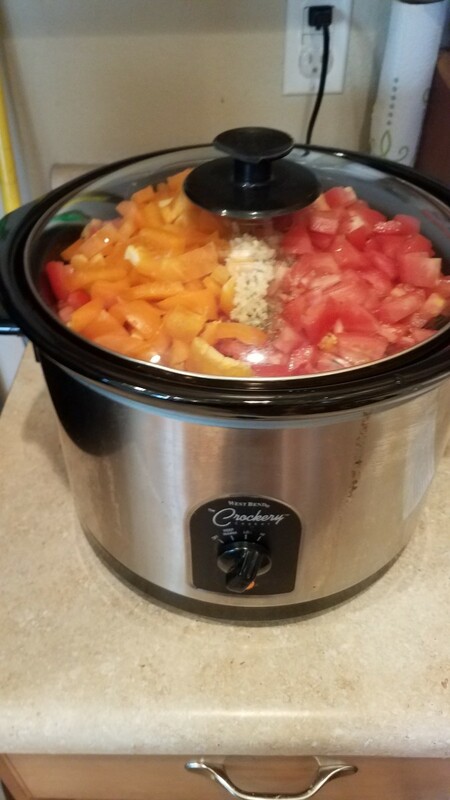 Chop up one bell pepper and add that to the crockpot as well. 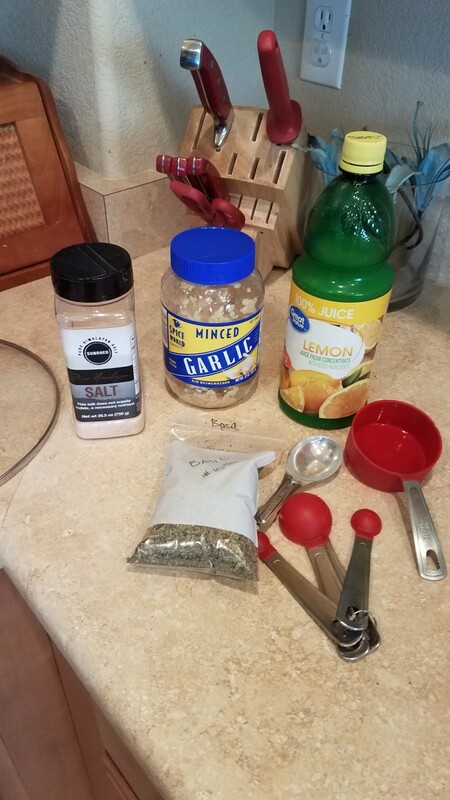 Now add your other ingredients. 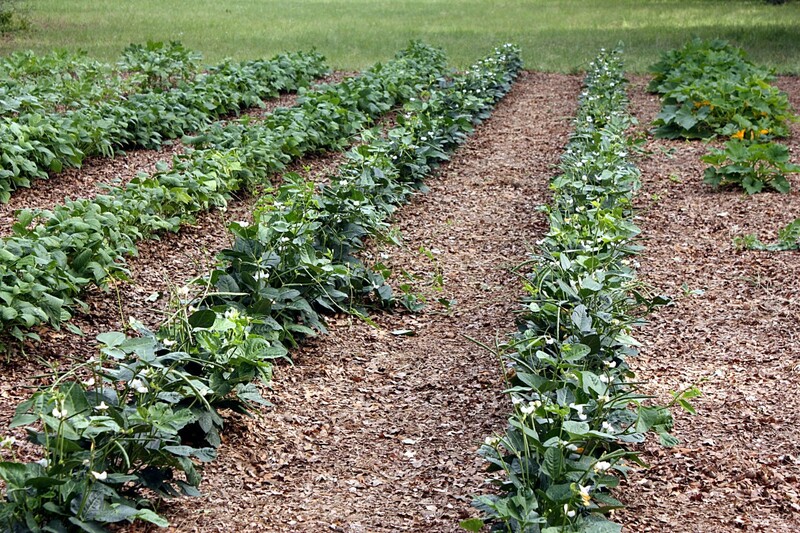 Cover the pot and leave cooking until all looks wilted. Plan on letting this cook a while. If you have an immersion blender, this is the best tool for the job to blend it all up smooth. If not, blend it up in your blender or Vitamix in batches and return it to the crockpot. Now leave the lid off and the heat on high. 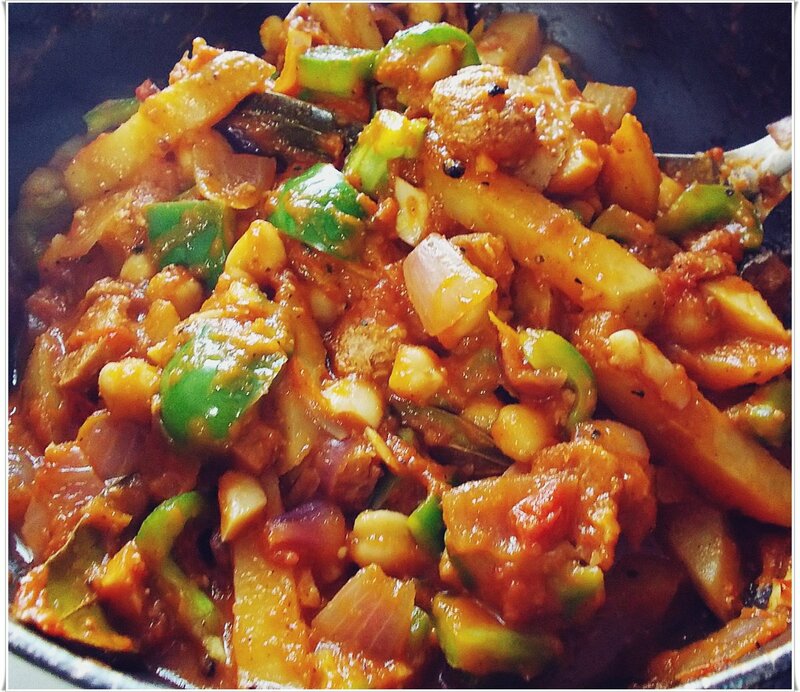 Continue cooking until the mixture is thicker and more resembles tomato paste. It will take hours. 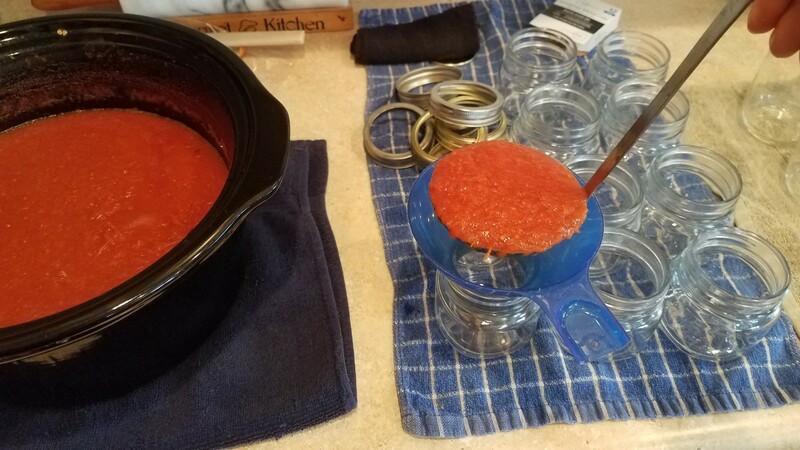 Leave a little thinner than you would like your tomato paste in the end because it will be in the water bath canner cooking for another hour. 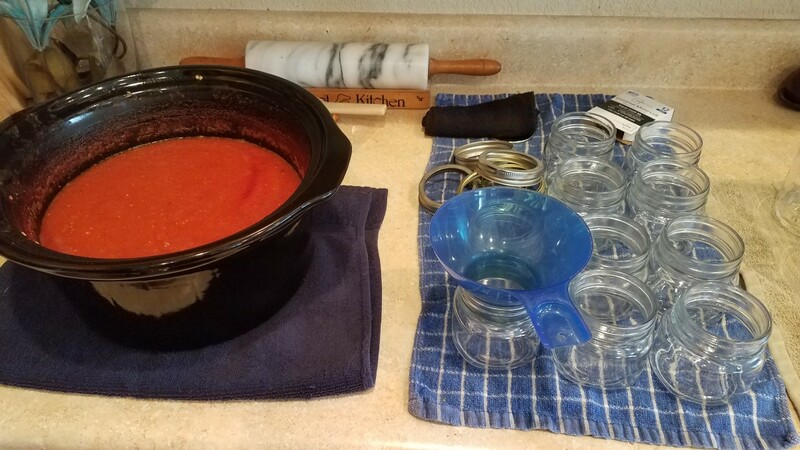 Now it's time to set up your canning station with half pint jars with lids and rings, your water bath canner filled halfway with clean water and a jar rack in the bottom, a ladle, and a canning kit. 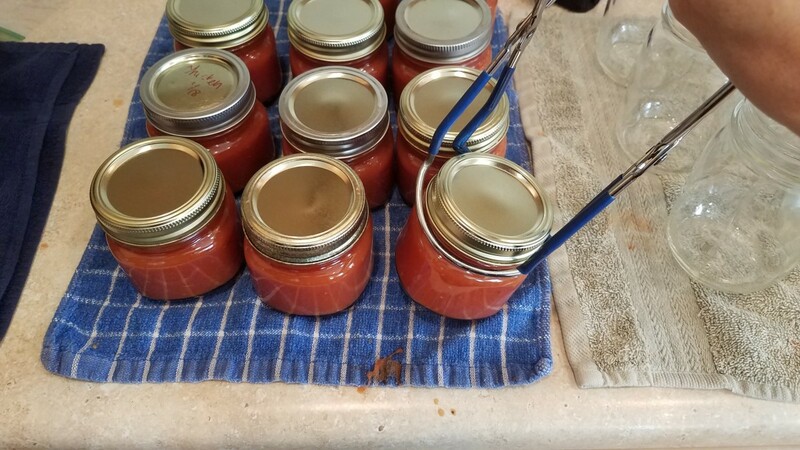 Fill each of your jars to within a half inch or so from the rim using your canning funnel and ladle. Wipe down the rims of each jar with a damp washcloth to remove any liquid or food. Add lids to each of your jars and then rings. Twist each ring only until you feel the slightest resistance. Use your jar lifter to gently lower each jar into your water bath canner. My canner only holds 7 jars at a time. Make sure to fill with water to about 2 inches above your jars and then put the lid on. Turn your stove heat to high. 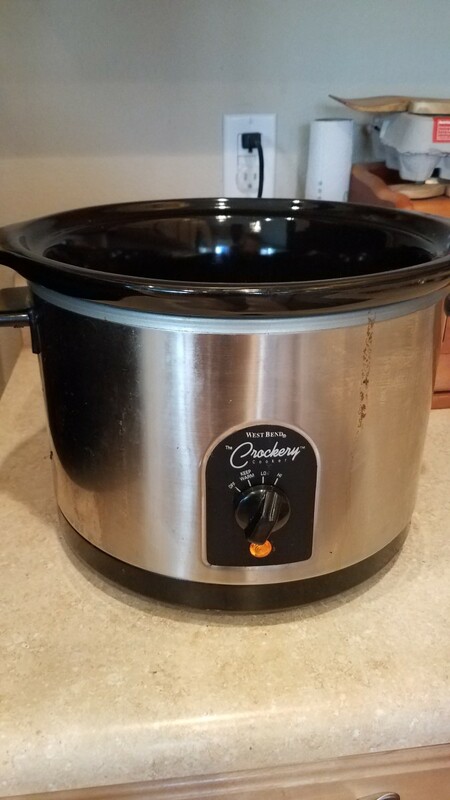 When the canner starts boiling over, set your timer to 1 hour, tilt the lid to release the extra steam, and lower your temperature by a notch or two. You still want the water to boil rapidly the whole canning process. Make sure you check the altitude chart below for cooking time. I cook mine for an hour because I am at above 5,000ft in elevation. If you live closer to sea level, you can subtract some time. 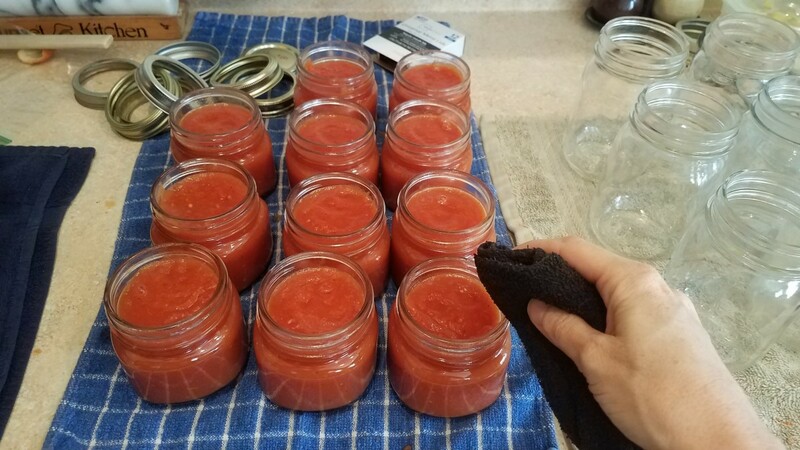 When your jars are finished, gently remove them from the canner with your jar lifter and set them on a towel to the side to cool down for 24 hours. If you have another batch to can, slide them into the canner and start the process over. When cool, the centers of your lids should have popped and should ping when you tap them. If so, remove the rings as they can breed bacteria that can compromise your tomato paste, label your jars with the item and the date, and store in a cool, dry place. They should last at least a year. If you had 3 or less jars that did not seal, pop them in the fridge and use them within a few days. 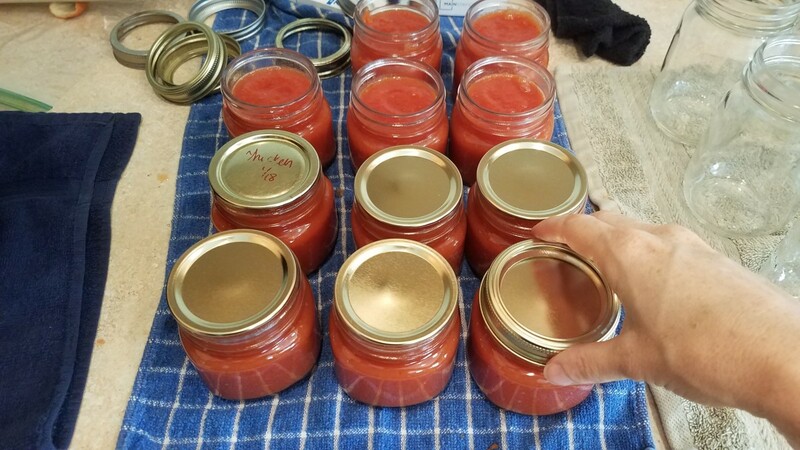 If you had 4 or more that didn't seal, remove the lids and rings, clean the rim of the jars and the lids and rings and try to reprocess them again. You'll need a large crockpot. 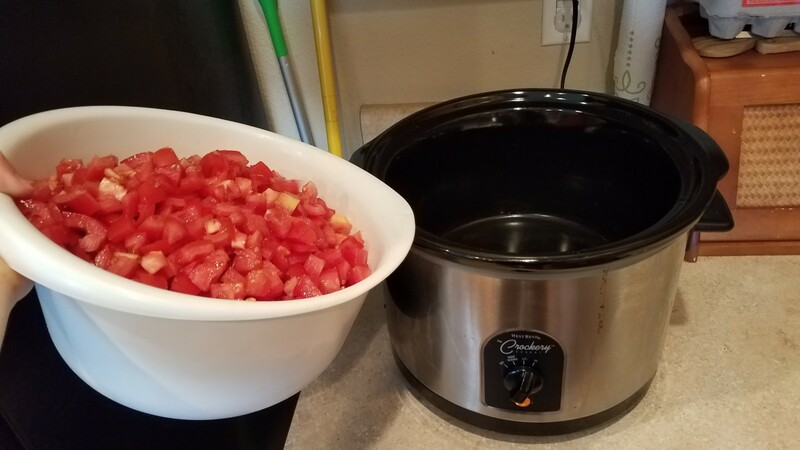 Chop up all of your tomatoes and add them to the crockpot. 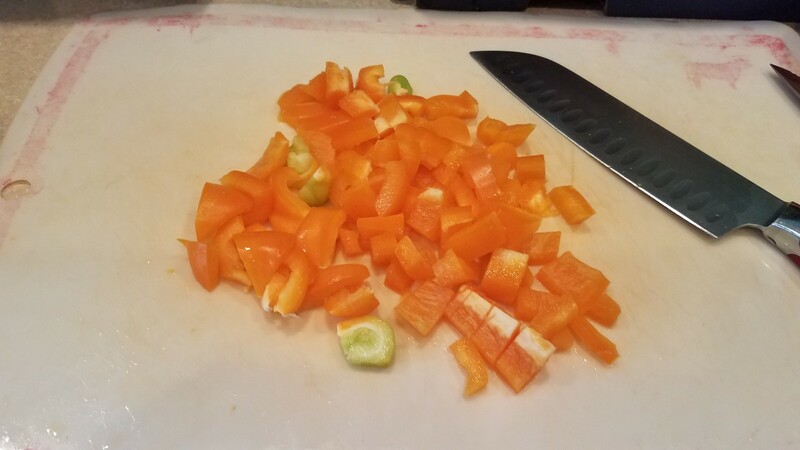 Chop up your bell pepper. Add it to your crockpot. Add all of your other ingredients to your crockpot. 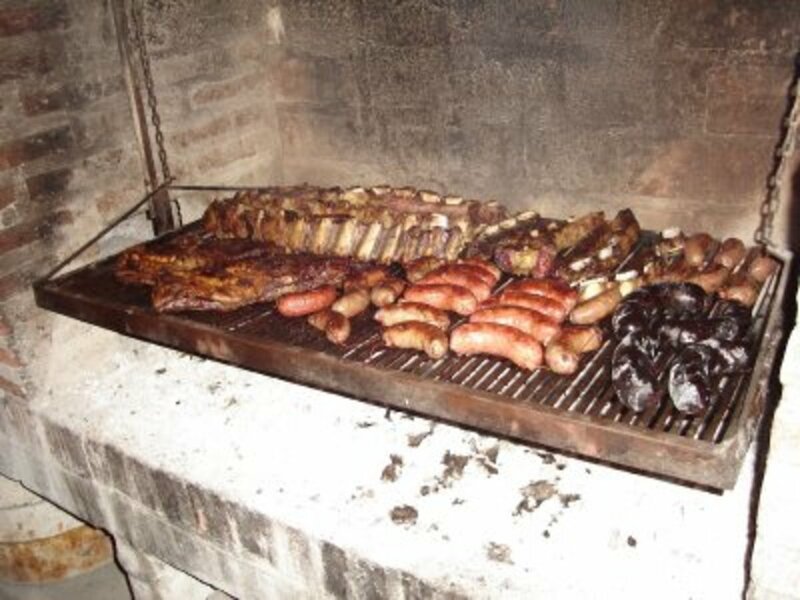 Put the lid on and set the temperature to high. 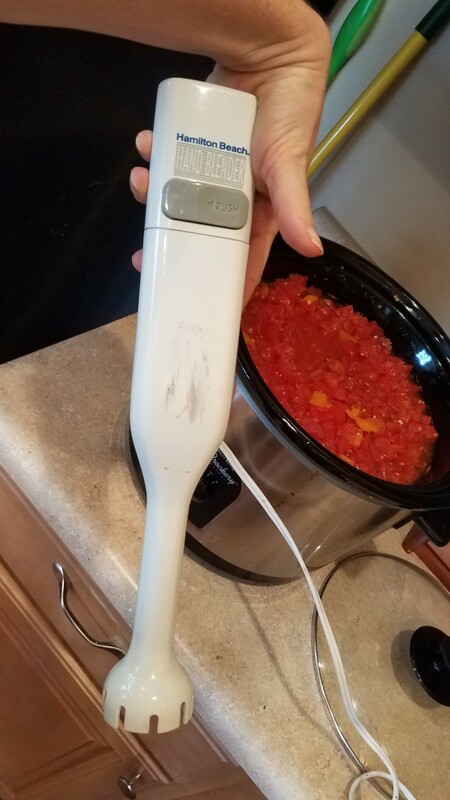 If you have an immersion blender, that will be ideal for blending up your tomato paste. Set up your canning station. Fill each of your half pint jars to 1/2 inch from the top. Wipe the rims with a damp cloth. Gently move each jar to your canner, and fill to 2 inches above your jars. Cover with your lid and turn heat to high. 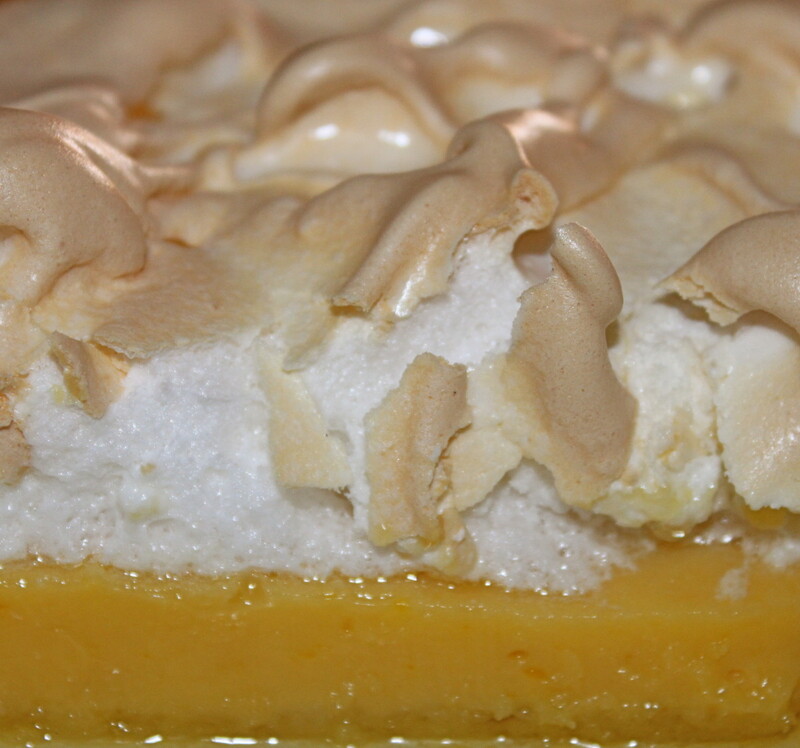 See recipe for final details. Now that you have your own tomato paste, why not keep going and try out one of my other tomato recipes? All of them are pretty easy to whip up, take less time in the pot and the canner than tomato paste, and then you'll be on your way to making even more items for your family yourself! My vegetable pasta sauce and tomato soup are my favorite! And they go fast in this house. And all of these recipes are great for using in other recipes like my tomato basil bread and bruschetta. 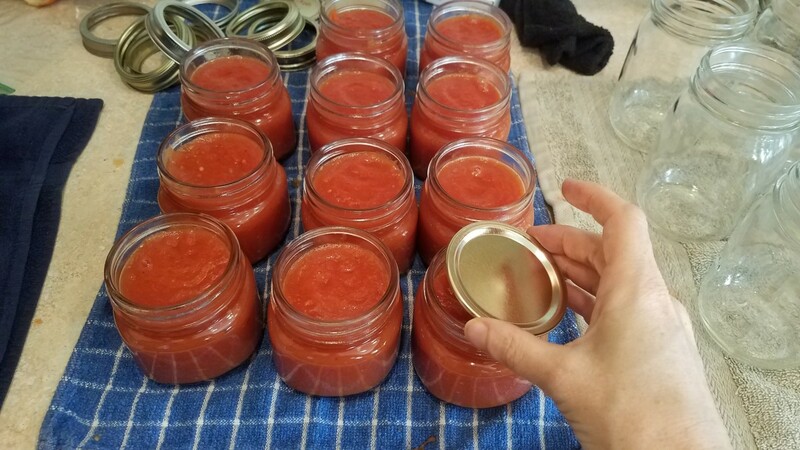 For more great tomato or canning recipes, follow my Hubpages profile and you'll have access to them all. I love cooking. 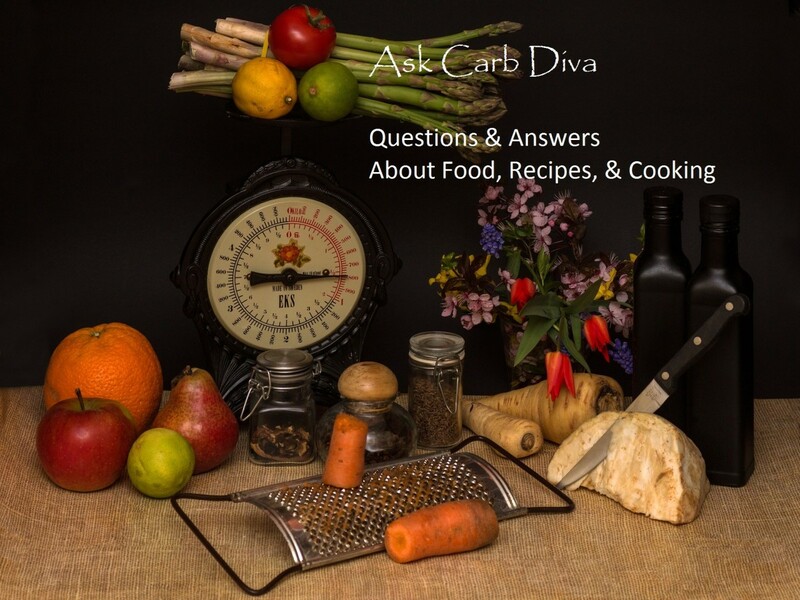 If you have any requests for recipes, I'd also love to oblige. Just leave me a comment with your request and I'll get it published! Thank you!! I try. Your pasta sauce can be as thick as you would like. To get it thicker, you just leave the top off of your pot and cook until the liquid evaporates and it's the consistency you'd like. 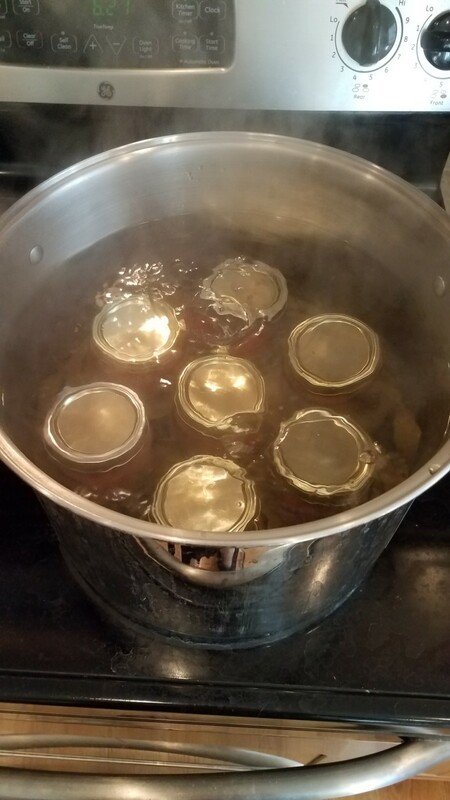 But if you are canning it, keep in mind that some liquid will evaporate in the canning process. You're amazing, Victoria! My goodness, you're a busy little mama! Is your homemade paste as thick as you get in a can or tube?